Resume Quiz: Do You Know How to Create a Job Winning Resume? Take this 60 second resume quiz and improve your resume! After answering each question you will receive a tip on how to improve your resume. You can also get the answers emailed to you in the end of the resume quiz. 1. How long should your resume be? 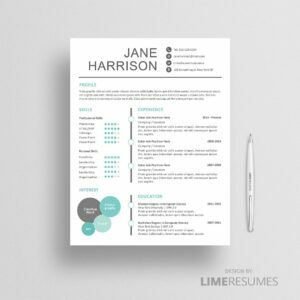 Your resume should always be 1 page, no matter what! For an entry- or mid-level role one page is all you need. For higher positions two pages is better. 2. How to best list your work experience? 3. How should you list your education your resume? Put education before work experience if you are a recent graduate or you are changing careers and have continued your education towards your new career objective. 4. Should you include keywords in your resume? You should always use keywords in your resume whether or not your resume is viewed by a human or applicant tracking system (ATS) software. 5. When should you include a cover letter with your resume? 6. Should you include a photo in your resume? 7. 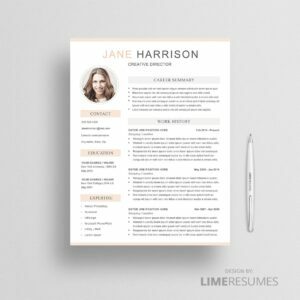 Is it needed to customize your resume for each position? 8. How should you write about yourself? You should write about yourself in first person: "I," "me," or "my,"
9. Which words do you think appeal to employers the most? "go-getter," "think outside the box," "people pleaser"
"excellent communicator," "highly organized," "motivated"
10. Should you include social-media URLs?